When Ian Wilkinson joined Tacoma, Washington’s Foss Harbor Marina as General Manager in 2012, he was tasked with modernizing the marina’s marketing and digital presence. 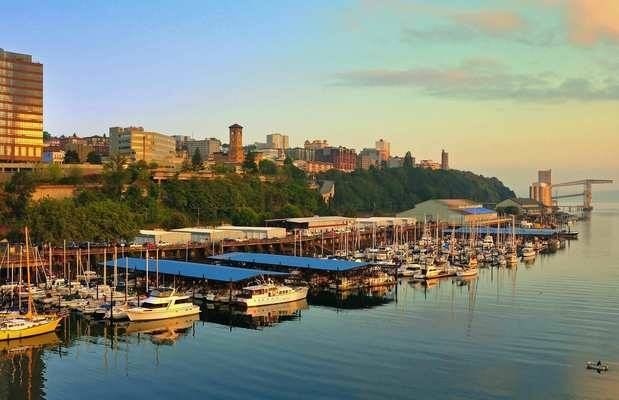 This initiative, coupled with the marina’s interest in growing its boating community, made Dockwa’s free digital exposure and transient slip management tools a natural fit for helping Foss Harbor Marina achieve its goals. Since becoming the first West Coast marina to list on Dockwa in 2015, Foss Harbor Marina has operated at 100% capacity and their transient slip revenue is up 50%. 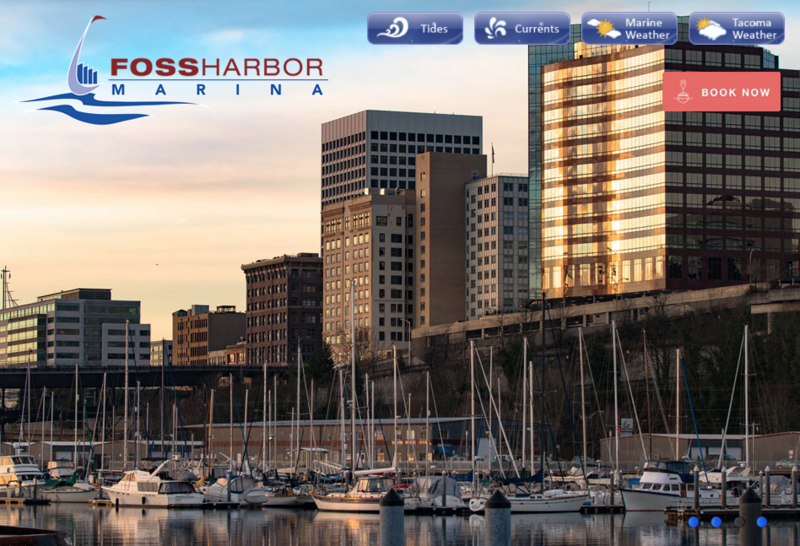 Read on to learn how Foss Harbor Marina’s partnership with Dockwa came to be, and how the marina’s use of Dockwa has evolved from a free marketing tool to revenue-generating and process simplification aid. 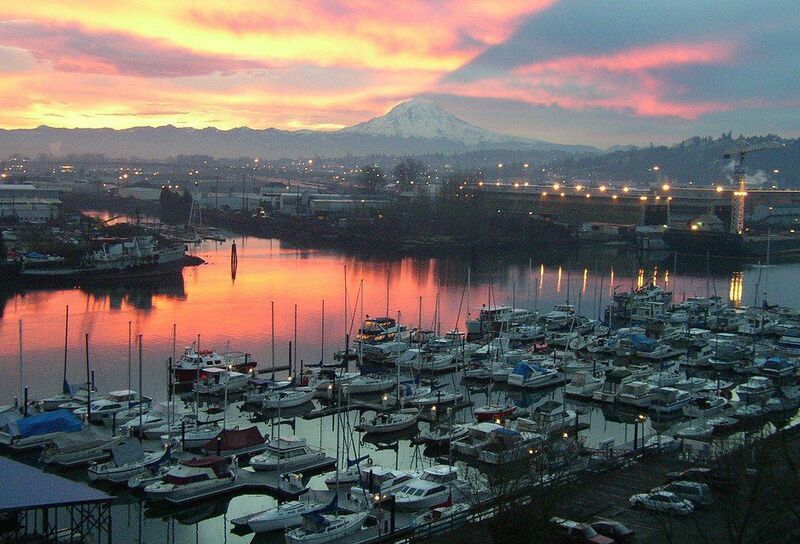 Tacoma, Washington's Foss Harbor Marina embodies the beauty and spirit of the Pacific Northwest. From its lively live-aboard community to its picturesque views of Puget Sound, this wet slip marina is a must-stop for PNW cruisers. And with 416 slips available, you'll be immersed in a bustling, passionate boating community upon arrival. The marine industry’s hesitance to adopt technology at the rate hospitality, transportation, and other related industries have over the past 15 years has allowed certain time-intensive and less-than-secure operation practices to remain fashionable. Ian Wilkinson, General Manager of Foss Harbor Marina, can attest. Having worked in the marine industry for over a decade, Ian has witnessed firsthand the trend of marinas being comfortable with consistency, particularly with how they attract new boaters. Many marinas handle reservation requests through phone and email exchanges only, don't advertise their dockage information through online resources, and rely on pen-and-paper to record boater and slip inventory information. Some, after the economic downturn of 2008, still don't take any transient reservations, allocating all dockage to “sure thing” long-term slip holders. The view from Foss Harbor Marina at sunset. Ian saw the marine industry’s delay in technological adaptation as an opportunity to distinguish Foss Harbor Marina from its competition and position the marina as a leader of its kind. Foss Harbor could and would be a marina that embraced technology to attract more boaters and provide the convenience and simplicity their boaters had come to expect in every other aspect of their lives. Ian and his team began to bring technology into Foss Harbor Marina’s operations by increasing its digital footprint. With a widened online presence, Foss Harbor would be accessible to more boaters for more hours of the day. 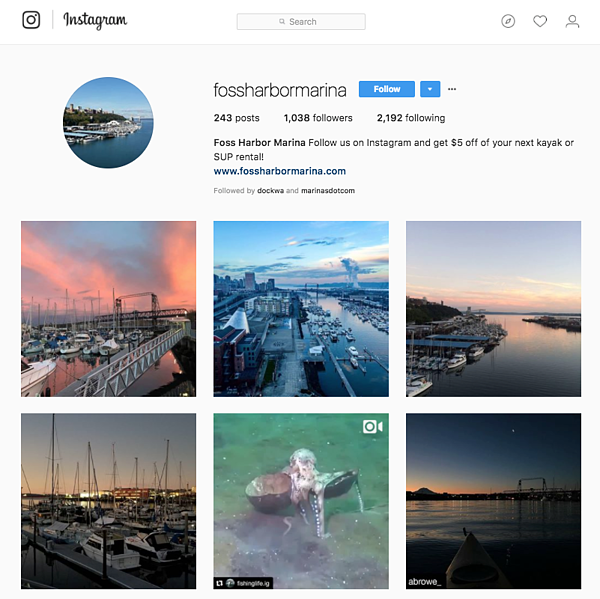 They created Foss Harbor Marina Facebook and Instagram accounts, keeping them current with news and pictures from the marina, developed a new mobile-friendly website to meet the needs of it’s on-the-go boaters and shifted advertising dollars from print mediums to digital channels. In an age where digital communities abound, and business and individuals can build a following simply by posting engaging, relevant content on free social media accounts, Ian knew that the more irons Foss Harbor had in the fire, the better chance the marina had for sustained, long-term growth. 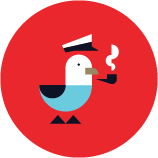 So in 2015, when Ian read an article about BoatUS’s partnership with a new online slip reservation platform called Dockwa, he knew he had found, at the very least, one more “iron to put in the fire.” Once Ian pursued a free Dockwa listing, Foss Harbor Marina officially became the first West Coast marina to join Dockwa. Since listing, Foss Harbor Marina operates at 100% capacity and transient moorage is up over 50%. And while Dockwa was initially used to increase Foss Harbor Marina's boater reach, Dockwa has saved Ian and his team time in the online booking process as well. Before Dockwa, online slip reservation details were ironed out via email exchanges with the boater, usually two or three "back-and-forths" long. Now, boaters who wish to book online simply click the "Book Now" button on Foss Harbor's website to request a reservation. With a Dockwa account, the boater's vessel and payment information is already on file - the only details to provide are their desired reservation dates and any special requests. The Dockwa "Book Now" button on Foss Harbor's homepage. Ian and team have found additional time saved in Dockwa's integration with BoatUS data. As a BoatUS partner marina, Foss Harbor offers 25% off transient slips and $.10 off per gallon of fuel to all BoatUS boaters. Before Dockwa, that meant manually calculating discounts, recording a boater's BoatUS number, and applying the discount to the boater's invoice. Now, just as the boater's vessel and payment information are stored and automatically applied to their reservation request via Dockwa, so are their BoatUS membership number and discount. As more West Coast marinas list on Dockwa, Ian and his team are excited at the prospect of more West Coast boaters using Dockwa to explore new areas and book at marinas they've never tried before, Foss Harbor Marina included. And for those marinas not yet listed on Dockwa, Ian's take is that "If you have any slips at all you want to fill, list on Dockwa! Be on as many tools as you can. At the end of the day, its a free service."